Parnell Cathedral hosts PIF for a Ramadan Iftar dinner – Pearl Of The Islands Foundation Inc. 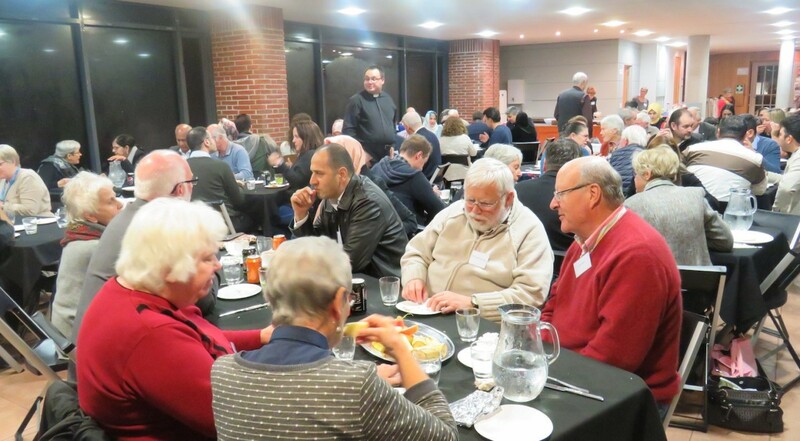 The Parnell based Holy Trinity Cathedral hosted a Ramadan Iftar dinner for the Pearl of the Islands Foundation (PIF) community members in what proved to be a magnificent event to enhance understanding, break stereotypes, and build bridges. The mutual gesture of coming together under the same roof to break-fast and celebrate the Ramadan spirit has been commended by guests that attended the night and also from members of both the Holy Trinity Cathedral and the Pearl of the Islands Foundation. Approximately 40 PIF members from the Muslim faith attended the Ramadan Iftar meal hosted at the Holy Trinity Cathedral. Around the same number of Cathedral staff and volunteers were also present to engage in dialogue with PIF members. 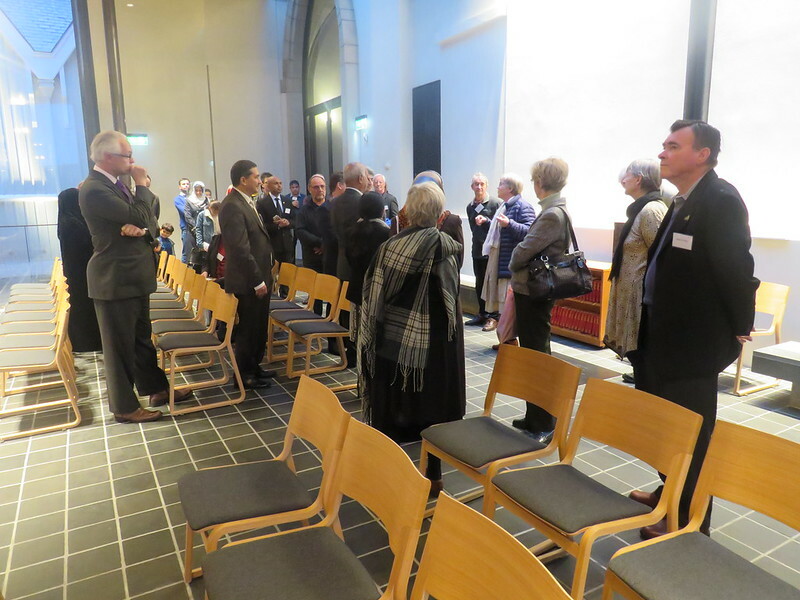 Guests such as former MP Ashraf Choudhary, Dame Susan Devoy and Rakesh Naidoo from the Human Rights Commission (HRC), Labour MP Michael Wood, General Secretary of the Anglican Church in Aotearoa Michael Hughes, among others also took part in this interfaith event. The event began with a tour of the Cathedral followed by an organ performance by the Cathedral organist. In a magnificent display, the call to prayer echoed in the main hall before meals were served in the kitchen area. The volunteers from the cathedral generously cooked all the meals served to the guests. Event organisers Reverend Ivica Gregurec and Reverend Bruce Keeley were very hospitable and welcoming alongside everyone else that was involved with the planning of the event. The formal welcome was given by the Very Reverend Anne Mills, Dean of the Cathedral. She welcomed the PIF community with a heartening message, “It is not easy for your movement but we are here for you.” She commended the efforts PIF does for the community and for New Zealand. Readings from the Abraham verses in both the Quran and Bible holy books were read consecutively to showcase the similar messages given in both written texts. “Interfaith and dialogue between groups should not be taken for granted”, MP Michael Wood said. Mr Wood applauded initiatives like this Cathedral Iftar dinner. He further stated that New Zealand was one of the most open countries in the world when it came to accepting different religions and nationalities. However, the Labour MP suggested that tolerance was not something we should aspire to but rather goodwill was a concept we should adopt and spread. He finished off by stating PIF does “invaluable” work. Dr Ozer-Balli briefly explained the importance of Ramadan, “Ramadan is a month of reflection with the aim of developing a stronger connection to God and extending warmth to communities around us in order to develop a deeper sense of God-consciousness. These Iftar dinners are an opportunity to gather together to not only share a meal but more importantly to share a message of harmony.” She then explained what PIF does and thanked everyone for being part of such a special evening. Master of Ceremony the Reverend Bruce Keeley jokingly said that Iftar was now part of their vocabulary after attending so many Iftars. Dame Susan Devoy, from the HRC, was also pleased to accept so many invitations to attend such events. “As a squash player at a young age, I would have never thought I would sit in the UAE, next to the Grand Mufti of Egypt talking about squash.” Susan said that as a Human Rights Commissioner, she learnt a lot from Muslims and their generosity. She concluded her speech by suggesting that there is a lack of education and ignorance in today’s society and that these must be addressed. PIF Advisory Board member and Papatoetoe principal Pauline Cornwell also emphasised the importance of education. We must be “expanding the mind and enhancing education.” She also spoke of the multicultural context in New Zealand and that we must work more to build a place (New Zealand) that is more accepting. The event concluded with a final prayer and closing remarks by the MC. The event was a reminder that the responsibility for social harmony, belongingness, and ‘giving nothing to racism’ remains there for us all to bear.